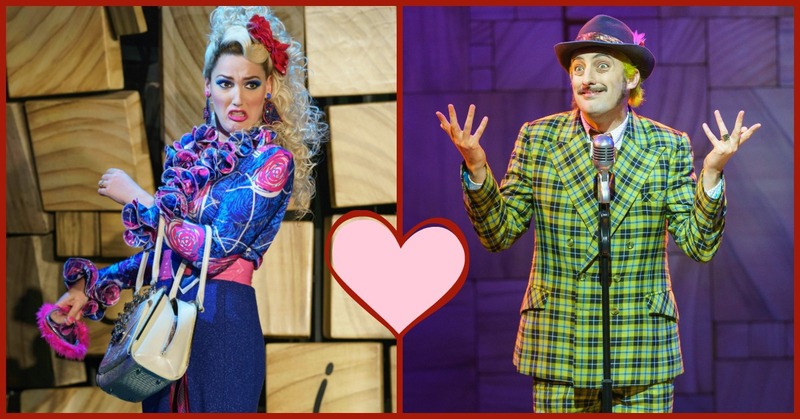 Just a couple of tips from the happily married Mr and Mrs Wormwood to make sure that you have the best Valentine’s Day ever! 1. Far too many people overlook the importance of Valentine’s Day decorations – There should be hearts EVERYWHERE – litter the floors with heart-shaped confetti, and decorate every room with heart-shaped streamers. If someone tells you that you’ve over-decorated, they’ll probably be lonely forever. 2. Don’t let the love stop there, cut all of your food into heart shapes, and where possible, do it to everyone else’s food too. 3. If you want to be noticed by your crush, you’re going to have to dress for the occasion. Whether it’s a tux or a ball gown, wear your finest clothing on Valentine’s Day. Make sure whatever your wear, you wear it best and don’t let anyone overshadow you. 4. Show off your talents. It’s important that your crush knows you’re an all-rounder. If you’re a singer, burst into song at random intervals; if you’re a dancer, Rumba your way down the corridors. Showcase your skills and you’re sure to land a date. 5. If you have decorated to the max, dressed your best, showcased your skills and STILL haven’t received a Valentine’s card, you’re probably being too subtle. Don’t waste time writing question marks in cards, just sign with your name….. and a list of your favourite restaurants and things to do, to provide plenty of first date ideas. Being shy is useless; Valentine’s Day is all about being LOUD. 6. When you actually make it to your date, which you will if you follow this advice, don’t act too clever – no one likes a know-it-all. Maybe try and go somewhere that you don’t have to talk too much, like the cinema or something. Talking gets boring and everyone likes the cinema- it’s like a huge TV! 8. Ask for a horse and carriage to the cinema. A large popcorn and fancy seats leaves a lot to be desired. If they won’t buy you a horse now, you’ll probably never get one. 9. If your date doesn’t go well, let them know and just leave! There’s no point sitting there all bored when you could be at home watching your favourite shows! 10. If your Valentine’s Day hasn’t gone to plan so far, don’t worry about it. It’s not your fault, it’s theirs and it can be really hard to find a suitable Valentine’s date when you’re better than everyone else. Have your favourite microwave dinner and sit in front of the telly – now that sounds perfect!